Update: The 75,000 mile offer for the Citi / AAdvantage Executive World Elite MasterCard ends tomorrow (Thursday), so if you want the elevated bonus, apply by then! This is a large jump from the previous offer of 50,000 miles after spending $5,000. The Citi / AAdvantage Executive World Elite MasterCard is a great card for many people, but there are major drawbacks to it that you should consider before getting the card. What is the full offer on the Citi Executive AAdvantage World MasterCard? Can you get the card if you’ve had other Citi American Airlines cards? What could you do with the miles earned from the sign-up bonus? Since the American Airlines devaluation, I don’t value their miles quite as high as used to. But there are still sweet spots on the new devalued American Airlines award chart. Here is a series Scott wrote that explains everything about redeeming American Airlines miles including guides based on where exactly you want to go. Why do I say 82,500? Because that is the minimum amount of miles you’d have (not considering any category bonuses) after meeting the minimum spending requirement (75,000 bonus miles + 7,500 for spending). Fly JAL 1st Class with a mostly enclosed suite, a wide, fully flat bed, and impeccable service and food! Receive a statement credit, up to $100 every 5 years, as reimbursement for your application fee for Global Entry or TSA Pre✓®. Save 25% on eligible in-flight purchases on American Airlines flights. The card also has a $450 annual fee. I value American Airlines miles at 1.5 cents each, so I value the 75,000 miles at $1,125. For a simple (non-personalized) ways of figuring out the value of the sign up bonus, subtract the $450 annual fee and add the value of Admirals Club Membership, and Global Entry credit to figure out the value of the sign up bonus. Using my valuation of American Airlines’ miles, the new sign-up bonus is worth $375 more than the previous one. Who Can Get the Card? This card is the Citi / AAdvantage Executive World Elite MasterCard. It is different than the Platinum and Gold versions of American Airlines credit cards, which many more people have. Unfortunately, if you’ve opened or closed a a personal Platinum or Gold AAdvantage card in the last 24 months, you won’t be eligible for this one. This is because you are only eligible to earn a sign up bonus if you haven’t opened or closed a Citi card from the same type (brand or co-brand) within the last 24 months. Luckily Business cards are considered separate for the purposes of this rule, so if you’ve opened or closed the CitiBusiness / AAdvantage Platinum card that doesn’t effect your eligibility for the Executive bonus. Citi also has a general rule that you can only be approved for one card in an eight day period and two cards in a 65 day period. 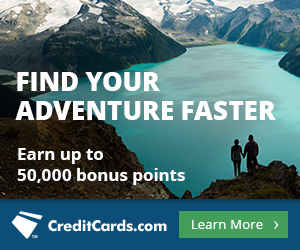 So if you have gotten other Citi cards recently like the Citi Prestige Card or Citi ThankYou Premier Card, space out your applications, so they are on day 1, day 9, and day 66. The two things that will hold people back from getting this card are the minimum spending requirement and annual fee. The minimum spending requirement is pretty demanding at $7,500 in three months. 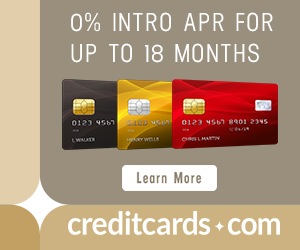 There are many great ways to meet minimum spending requirements (hat tip to Frequent Miler for staying on top of these methods), but make sure you only get this card if you can meet the minimum spending requirement without spending more than you ordinarily would and if meeting the minimum spending requirement will not cause you to go into debt. The annual fee is $450 per year. The first year you get a $100 statement credit that you can use for your own Global Entry application or someone else’s. So even if you already have it, you can consider $100 knocked off the first year’s annual fee as long as you know someone who wants to apply. For that price, you get Admirals Club membership. If you normally pay for Admirals Club access, this perk has real value, since a new membership is $500. Figure out how much value lounge access has to you and mentally deduct that value from the annual fee. And of course, if you’re close to qualifying for AAdvantage elite status than the opportunity to earn EQMs faster could be extremely valuable. My take on this card is that for some people it will be one of the best offers of the year. For other folks, this will be an offer they should skip in favor of cards with spending requirements and annual fees that more closely align with their comfort levels. Superb analysis, as always. Thank you.